Q: Don’t people need minerals removed from the water ? Q: Where is the PentaPure series drinking water system installed? Q: Can the PentaPure system be connected to an extra faucet? 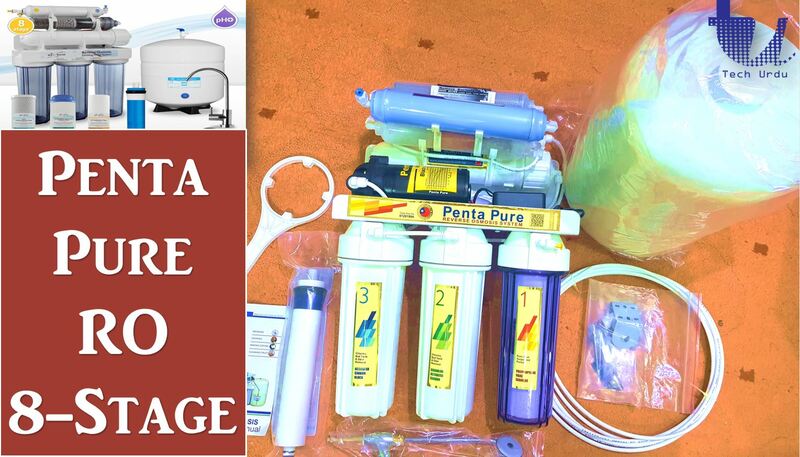 Q: What is the actual process of the PentaPure Home R.O. System? It only takes a 1/4″ tee and tubing to run the water to a refrigerator or a extra faucet. Some families run PentaPure system to all of their bathrooms. The raw tap water first flows through a 5-micron particle FILTER  to remove dirt, rust and other sediments. The water then flows into a carbon briquette cartridge FILTER  which takes out 98% of the chlorine and organic chemicals. The next stage of the process is FILTER  1-micron sediment filter or the Block carbon filter to filter multi-chemical compounds and suspension. The reverse osmosis membrane (TFC) which will separate 95-99% of the dissolved contaminants from the water molecules. The contaminants are then washed down the drain. The next stage of the PentaPure RO SYSTEMS process is the small CARBON FILTER  removes the remaining traces of chemicals, tastes and odours. Typical Flow Chart The R.O. water is stored in a 3.2 gallons TANK . Inside the tank is a balloon-like rubber diaphragm, precharged with 8-10 psi of air. As the tank fills, the air pressure increases and pushes the water out when the faucet is opened. The final element of the PurePro Series system is a POLISHED CHROME FAUCET . It is installed on the kitchen counter or the sink. It is a dual action faucet offering intermittent flow (to fill a glass, hold the handle down) or continuous flow (to fill a coffee pot, lift the handle up). ← How to Recover a Forgotten Gmail Password?